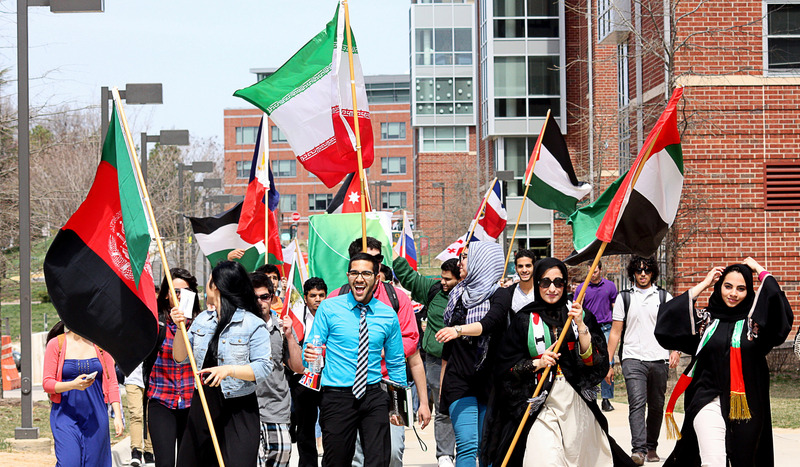 Students from more than 100 countries are celebrated during the week of April 6-14, and each year, student organizations and offices create events that will expand the community’s knowledge of Mason’s diverse campus. iWeek also launched its new logo this year, as a result of doing away with iWeek themes. The highlight of iWeek 2013 is how Mason can celebrate cultural differences and remain a unified community. To learn more about intercultural relationships, and relationships in general, WAVES (Wellness, Alcohol and Violence Education Services) sponsored Global Love on April 10, from 3 p.m. to 4 p.m. in the JC. Mason community members were able to learn about the different types of food that symbolize love and friendship from around the world, while offering discussion on how to bridge cultural gaps and build cultural similarities in relationships and friendships. On April 11, the writing center filled East Plaza with spoken poetry. The event, held from 12:30 p.m. to 2 p.m., invited students to share their own favorite international poems, in either English or their native language. 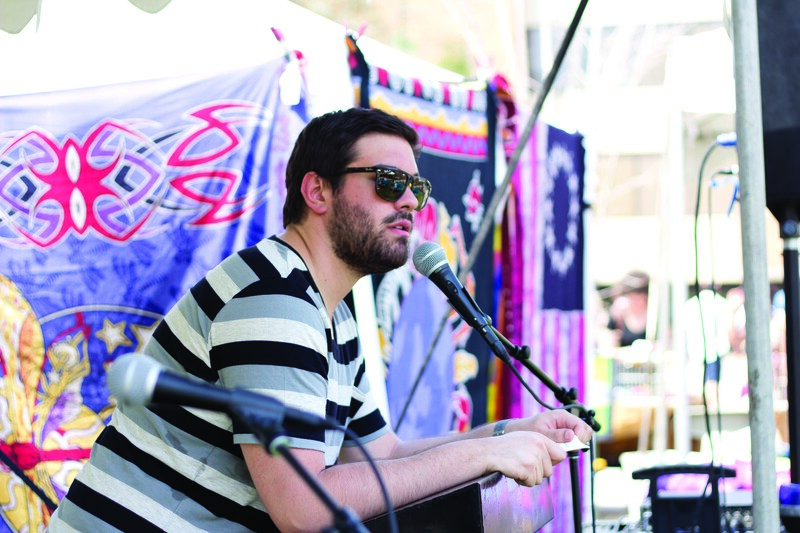 Though this was the first time the event was held, the writing center plans to turn international poetry reading into an annual event, held each iWeek. For the sixth year in a row, international theater took over the JC Cinema. Taking place Tuesday, April 9 from 8 a.m. to 6 p.m., the event brought plays, songs and poetry performed by students in the work’s native language. The event was sponsored by the Department of Modern and Classical Language, along with the University Life Programming Committee. 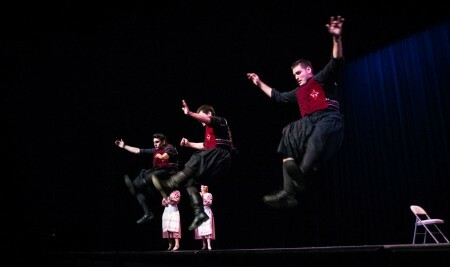 On April 9, iWeek held their annual international dance competition from 12-2:30 p.m. at the Center for the Arts. This was the second year the event was ticketed due to the inability to remain in Dewberry Hall, as the size of the event has significantly grown over the past two years. Student organization dance teams — the Afghan Student Union, Arab Student Association, Filipino Cultural Association, Hellenic Society, Hispanic Student Association, Indian Student Association, Nepalese Student Association, Pakistani Student Association and the Saudi Student Association — competed to perform at the International Dinner Dance on April 12. This year was also the second year the dance competition could be streamed live on the Internet, so family, friends and other universities could watch the competition from around the world. Mason students and community members were able to experience the 1920s with the Global Crossings Living Learning Community on April 10 from 5 p.m to 7 p.m. Members from the Mason Swing Dance Club taught the Charleston, and 20s-inspired drinks, snacks and music filled Hanover Hall. Throughout the event, the Mason community members could go back in time and learn about the global events, happenings and changes during the decade. “We’re going to be doing a decade-themed party every iWeek, so next year it will be a different decade,” said Heather Ward, associate director for internationalization and outreach. As a portion of iWeek 2013, there will be a chance for the Mason community to not only sample culinary creations from other cultures, but to actually experience the cultures. The Chinese Corner was an opportunity to receive information on how to learn about the Chinese culture. In the JC on April 8, from 12 p.m. to 1 p.m., students from the Confucius Institute displayed the experiences they have gotten from going to the Confucius Institute, learning about the Chinese language and meeting professors from China. Global Sips @ The Ridge was offered all throughout iWeek, April 8-12 from 10 a.m. to 1 p.m., at the new campus study and hang-out spot, The Ridge. Students, faculty, staff and Fairfax community members were able to try different international hot beverages. Coffees, teas and hot cocoa were staples among the drinks being offered to the Mason community as a way to make culinary links between cultures. 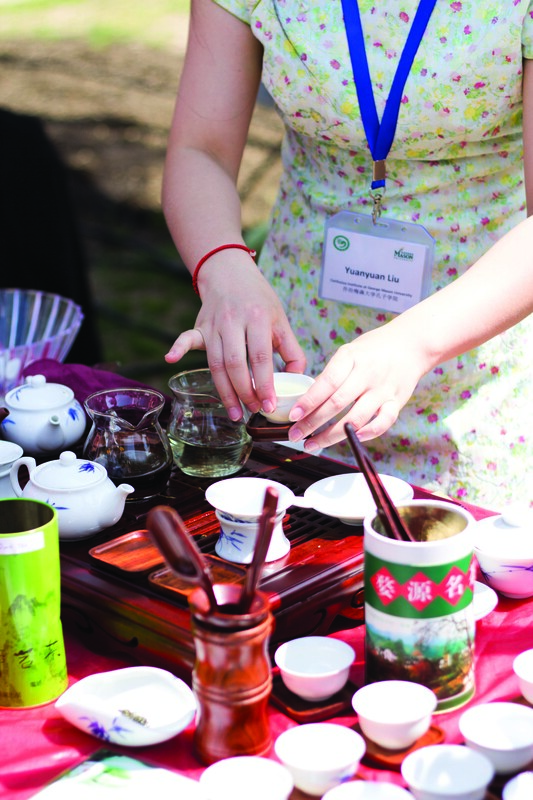 The Chinese Tea Ceremony & Tasting, held on April 11, from 1 to 2 p.m., was another opportunity for the Mason and Fairfax community to learn about a culture through food. Featured at North Plaza, hundreds of students sampled different teas, all from China, as well as learned about how tea is an important part of daily life in China. Throughout International Week, Mason student organizations got the chance to showcase the highlights of their culture in a series of culture nights. On April 9, from 7 p.m. to 10 p.m., the Hellenic Society, Arab Student Association, Lebanese Student Association and the Rumi Intercultural Dialogue Club hosted their Mediterranean Culture Night. The night featured these Mason organizations and groups as a way to offer a diverse representation of the Mediterranean culture. 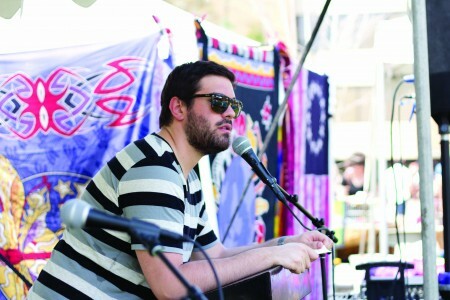 On April 10, three culture nights were held. 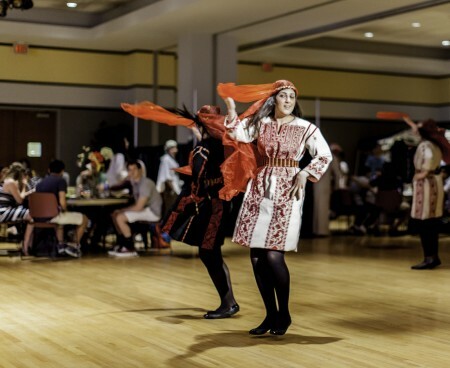 The Israeli/Jewish Culture Night, Iranian and Afghan Culture Night and South Asian Culture Night were held in The Hub Ballroom, JC Bistro and Dewberry Hall, respectively. All three events were scheduled between 6 p.m. to 10 p.m. Assistant Director of Programs and Outreach for International Programs and Services Birgit Debeerst said that having the three cultural events at the same time offered a lot of cultural interaction between the organizations, which is a huge theme to iWeek. April 11 was African Culture Night—hosted by the African Student Association and Ethiopian Student Association—and African- American Culture Night. Both events were held in the JC from 6 p.m. to 10 p.m. and offered the Mason community an opportunity to experience African and African- American culture through food, music and discussion. April 12 was a celebration of Bacchanal, a Caribbean carnival celebration with music and dance, hosted by the Caribbean Student Association. The event was held on North Plaza from 2 p.m. to 5 p.m.
On April 14, from 6:30 p.m. to 10 p.m., the Filipino Cultural Association held a Philippine Culture Night in Dewberry Hall. The Mason community experienced the Filipino culture through tasting food and listening to music from the Philippines.